Advertised as a Buffet à volonté, the cold meat and salad didn’t really make the grade, and being a captive audience there was no choice but to drink exorbitantly priced drinks, or risk losing your table. 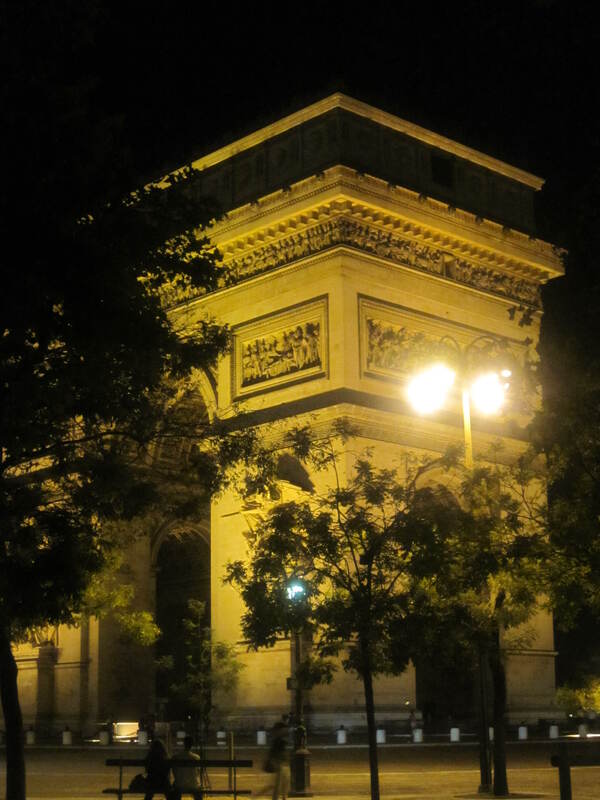 However, despite those minor inconveniences, we had a fabulous time and were afforded brilliant photo opportunities for Paris landmarks by night. 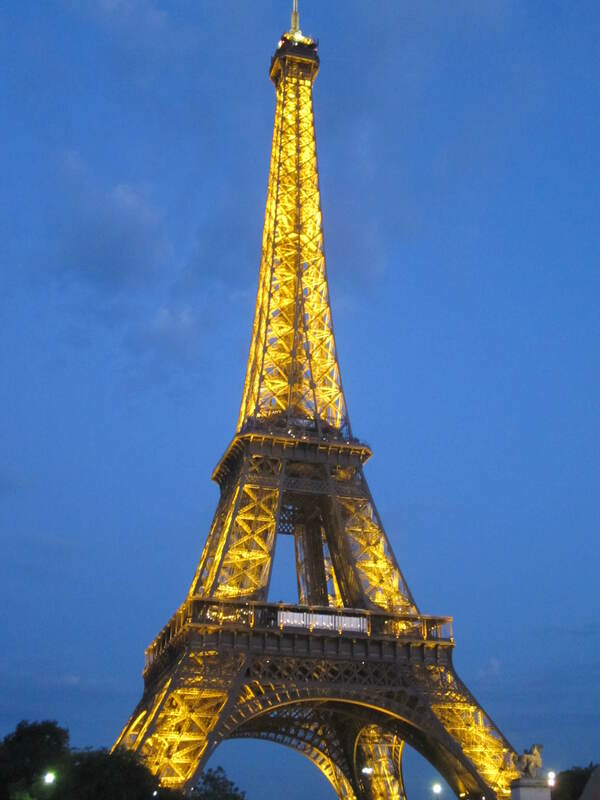 Some of the shots of the Eiffel Tower were suitably postcard-like. 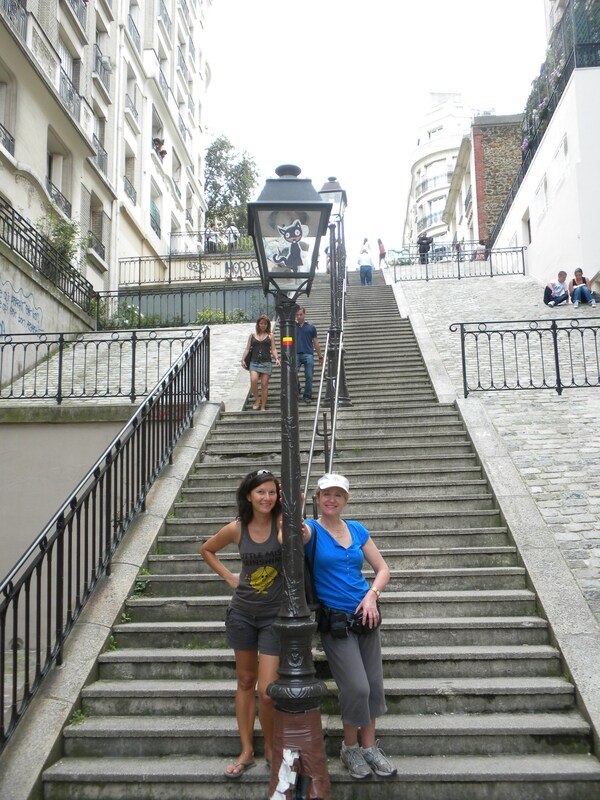 We were supposed to have “apéro,” short for aperitifs, or pre-dinner drinks, at our apartment (that never seems to lose [Toulouse] its edge) but the girls were late and Dutchy was over at the supermarket buying some cereal and yoghurt for breakfast. So it was a mad panic to get to the Métro and run along the banks of the Seine to be at the River’s King boat for embarkation, only to have to wait for ages to board! At least this way we were on first and were able to get a table. All of us had a coloured wristband that was iridescent, so when we finally “set sail” they lit up beautifully. It was only later we discovered the significance of the different colours; red was if you were attached, yellow, not sure, and green was apparently available. I didn’t know, I swear, but it was funny because mine was green. 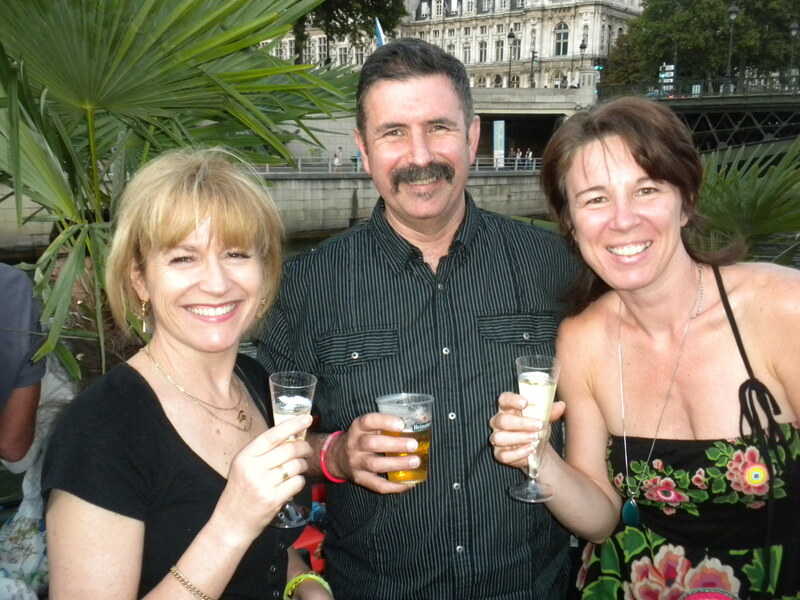 We met some interesting Brazilian people and enjoyed taking many happy snaps. Monica spoke English, French and Brazilian Portuguese, while her friend Marco, who was on holidays from the French Foreign Legion in Somalia, having been with the Legion for ten years, spoke French and Portuguese. 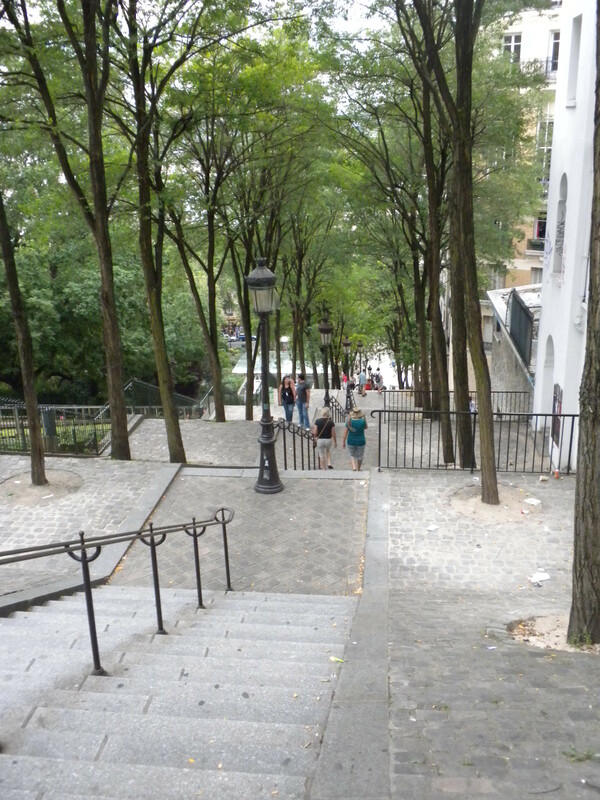 Climbing all the many stairs up to Montmartre makes me realise this is an area I wouldn’t want to live in. 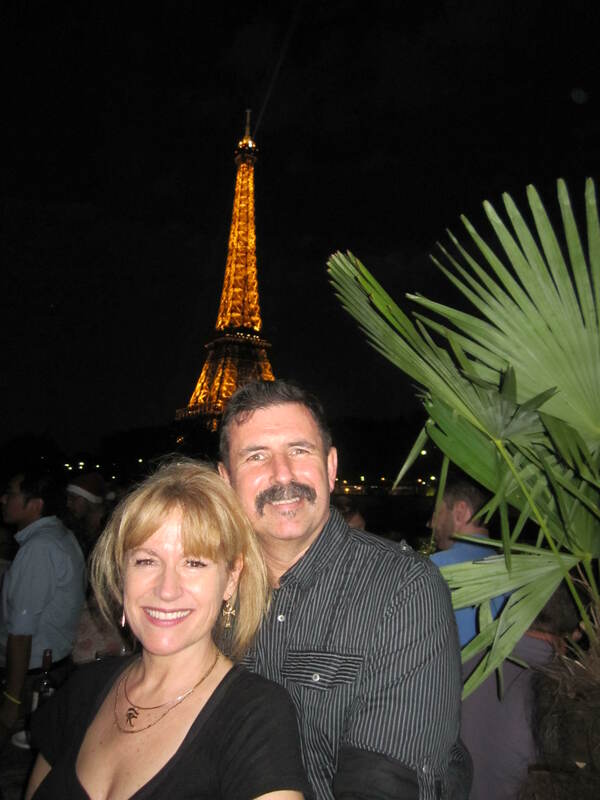 We like to pretend that one day we could afford an apartment in Paris, but it’s a bit of a joke, because we wouldn’t actually want to live in a broom closet, which would be all we could get if we could at all. Then there’s another part of me that says yes, when I write the book that makes me famous or when Dutchy wins the $29 million he has dreamt about, then sure we could, and it might be a $2 million dollar property. How big can you dream? 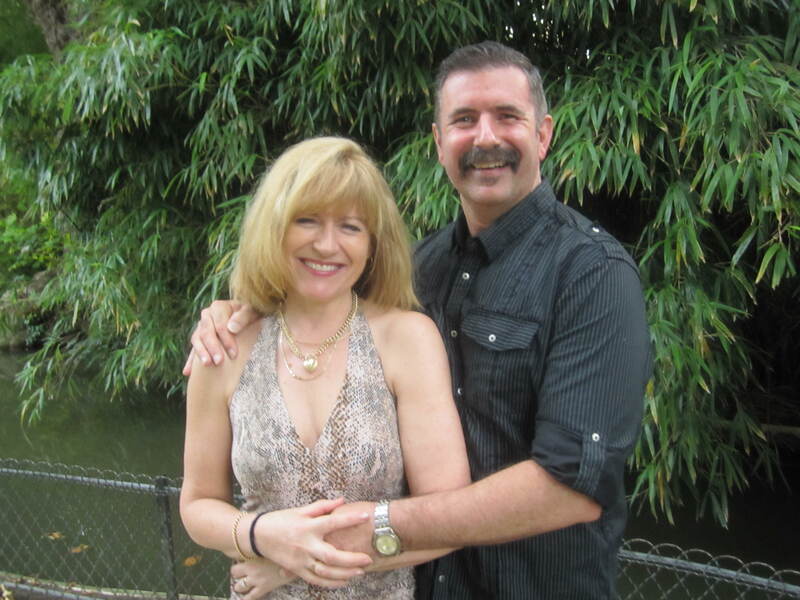 Our late lunch was going to be at Au Bon Coin, a little Parisian restaurant; inspired as we were to go there because Dutchy’s favourite website to peruse is Leboncoin, where he looks at motorbikes and properties in France, and continues to dream. This dream was a dud, because it was closed for summer, so we ended up at the swimming pool. Not actually, but the name of the restaurant was La Piscine. We had an enjoyable lunch, but required a half-hour nap before the night’s activities. What a wonderful fine dining experience we had in the rue Faubourg St Honoré. 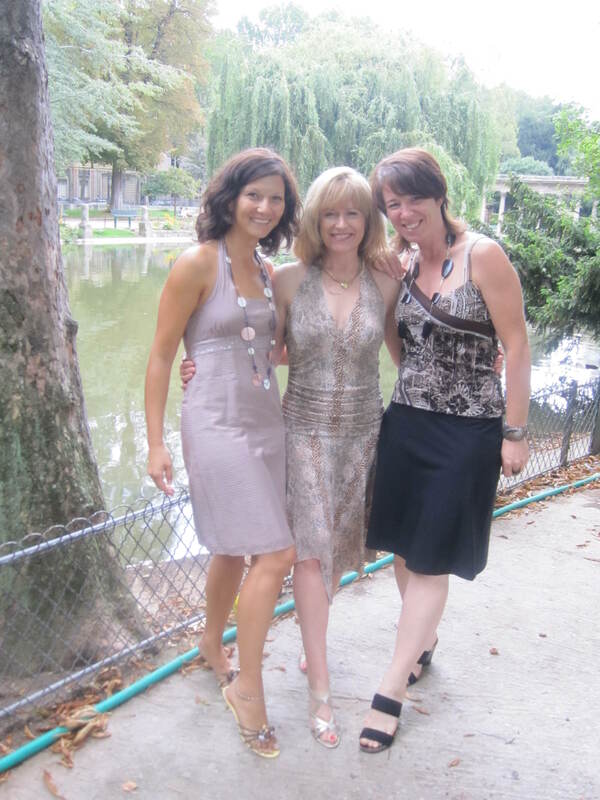 All dressed up and raring to go, we met for pre-dinner drinks and a photo shoot at the Parc Monceau. Audrey and Leslye provided the champagne as my belated birthday drink before heading off to La Marée in an exclusive part of town. Dutchy said he knew he was in a fancy place when he went to the amenities, and there were individual face washers to utilise as handtowels for the clientele at the basins. We had a “formule” or set menu, where we each had a choice of items for entrée, main and dessert. Thoroughly impressed with all courses, Dutchy said he couldn’t remember a better meal. High praise, richly deserved. We enjoyed a chilled red Beaujolais for €29 ($40) ouch. 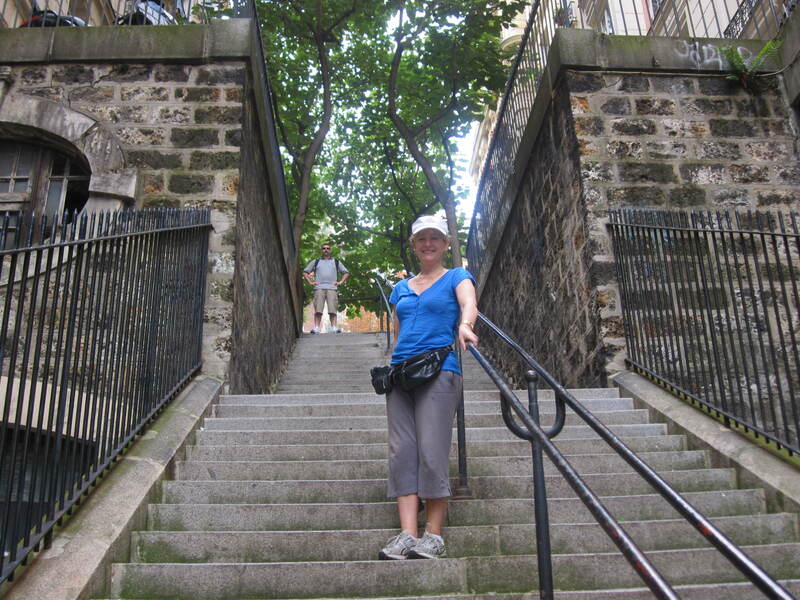 This entry was posted in Uncategorized and tagged La Marée, Montmartre, Paris, river cruise, Seine. Bookmark the permalink.